According to the site HealthStatus.com, moving is number three on the list between divorce and major illness as one of life’s most stress inducing events. From experience we can add to that the fact that when the move is across state lines or even just to a nearby city, the stress and complications are compounded greatly. We handle moving and storage in Beverly Hills to anywhere else in the country and can help reduce the stress that this major life event can produce. To that end, we would like to offer some tips on moving to a whole new city. Establish a rapport with your movers: Ask your movers any questions you may have about your move. Ask questions like whether or not your move will be subcontracted to another company, how your belongings will be divided, and when your possessions will arrive. Also ask about the company’s liability insurance, DOT inspections etc. Create a moving budget: Be sure to include considerations such as packing and unpacking fees, temporary storage, flight charges, and extra fees for handling bulky items etc., into your budgeting. Start packing right way: Never underestimate how long packing a lifetime worth of belongings can take. Also, be sure to pack an out of state (city) survival kit for surviving the last days in your old residence. Make a pile of things to donate or sell: So that you do not waste time packing nonessential items that will cost extra time and money to pack, consider putting aside things you wish to sell or donate. Doing so will make room for more essential items. Find out how much cargo space you’ll need: This can be tricky and we can help but knowing the approximate volume of the items you wish to pack can be tremendously helpful to the whole moving process. Purchase moving insurance: In order to protect your belongings and guarantee your peace of mind, purchase moving insurance. Budget for hotels and food while you move: If your destination is more than one day away, you may need to budget for hotel stays and food while en route to your new home. Properly pack your supplies: Start accumulating packing tape, boxes, tape dispensers, etc. Also, remember to pack and label your boxes by item and room. Change your address: Whether you choose to do so online or in person, fill out a change of address form and submit it to the post office before you leave so that people will be able to find you. Change your car insurance to the new state: Car insurance is linked to state, zip code, etc. For this reason it is important to notify your insurance agent of your move. 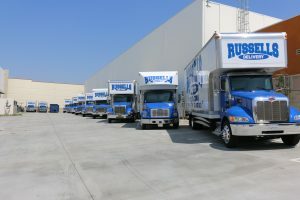 Finally, our moving company in Los Angeles is ready to answer any questions you have on how we can help expedite this major event in your life so that it is less stress inducing. Most people find our expertise and professionalism comforting during such moves. Let’s make the move together.